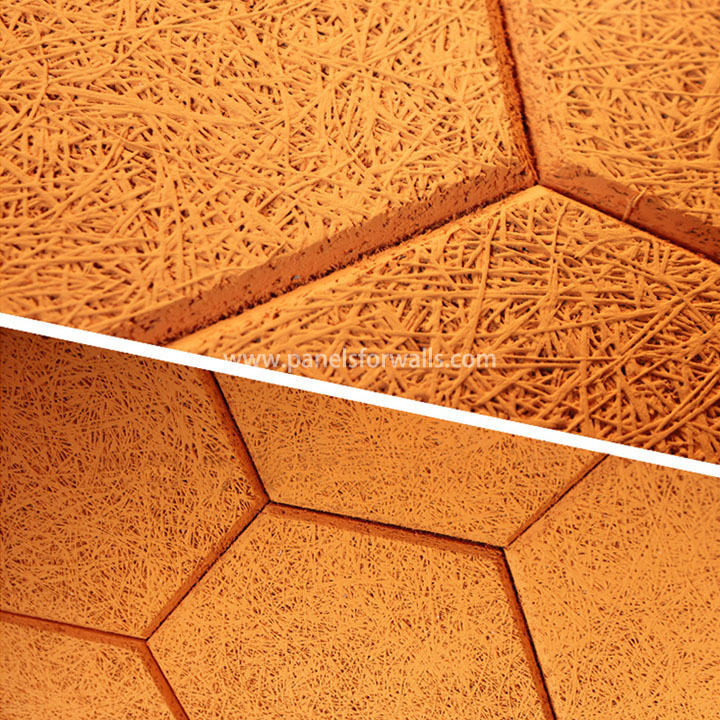 Wood wool hexagon tiles can have many combinations depending on surface structure, edge, mounting system, acoustic requirements, color, size and thickness. Our wood hexagon tiles are made of 100% natural wood and cement. The combination of wood and cement ensures its unique sound absorption performance. The material has a natural elasticity that can handle the damp environment and has effective fireproofing performance. Wood wool hexagon tiles can have many combinations depending on surface structure, edge, mounting system, color, size and thickness. Specially designed lighting, decorative elements and various accessories are also available. The hexagon wood cement board is often used in auditoria, theaters, recording studios, lecture hall acoustics, auditorium and gymnasium acoustics, external walls, media rooms, recording studio acoustics, studios & production houses, and so on. 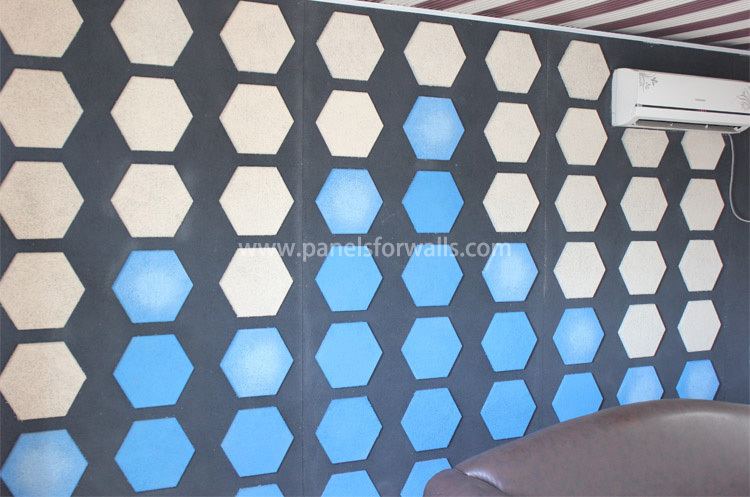 Wood wool hexagon tile panel is our classic acoustic panel for most types of buildings. In response to the fire, the wood ceiling panels are in accordance with BS 476 part 7 class 1 and EN13501 class B. Dark grey hexagon tile is one of the two standard colors. Grey hexagon tiles are made from grey cement. Hexagon tiles can be mounted directly on wooden slats with nails. If you are looking for hexagon tiles for your projects, just choose from these options – color, structure, etc. specify the products you need and request for quote from us. 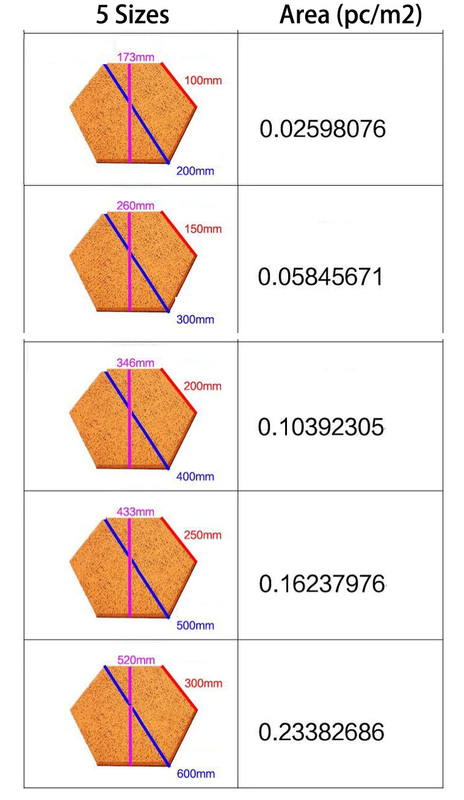 Other sizes such as 1 inch hexagon tile, 2 inch hexagon tile, 3 inch hexagon tile, and 4 inch hexagon tile can be customized. Wood Wool Tiles – How do I order?